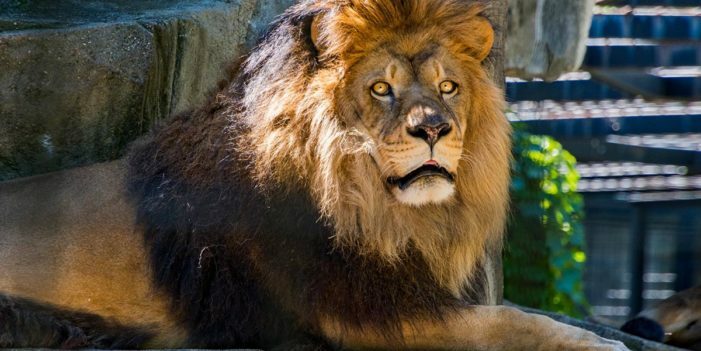 A twelve-year-old lion that possesses the power to see into the future was horrified this week at the San Diego Zoo when he was suddenly seized by a vivid apparition of you, spanking the proverbial monkey, next Saturday in a teal bathroom with pink shower curtains. The lion, known to staff and visitors as “Leonidas”, was passing the time peering into immortal destiny, when his eyes happened across your figure by the Dippin’ Dots stand near the entrance to Panda Canyon. It was during that moment, as you fiddled with your sunglasses, that your future became known to him in a vision: namely, that you would fish with your zipper trout at a co-worker’s brunch in four days time, a sight he immediately regretted ever having seen. Standing in the hot sun, you became aware the lion was staring at you. In fact, although it would be several days before you arrive at the home of Margaret from accounting, the lion was busy suppressing his gag reflex as he beheld the sight of you, shaking hands with Abe Lincoln, while your co-workers celebrated Margaret’s birthday downstairs. And for unknown reasons, as you looked back at the King of Beasts, you felt a little bit embarrassed. But like the paragon of virtue he is, majestic, resplendent in his strength, Leonidas the lion will not judge you for taking yourself to the self-service station while another brunch guest waited outside for you to finish your business. Still, if he had one wish, the Lord of all the Earth’s animals would ask that you stay home next week when your friends return to the zoo. Because frankly, he would prefer not to see you test-firing your meat missile ever again. Especially since you won’t even bother washing your hands when you are done at Margaret’s.